Edward Andersson, Sam McLean, Metin Parlak and Gabrielle Melvin. 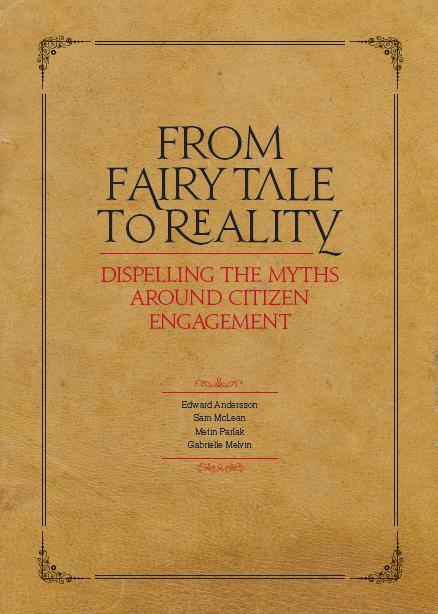 Dispelling the myths around citizen engagement. spiralling costs and dwindling prospects of success, and provides evidence to the contrary. Drawing on six innovative case studies from Croydon to Tuscany and Estonia, the pamphlet offers much needed alternatives to the way in which we deliver our public services.